Limited edition of 140 copies © - 2017 Murder Records co-released with Helldprod, Vomit Your Shirt, Chaosphere Records, Larvae Records, Signal Rex and Raging Planet Records. 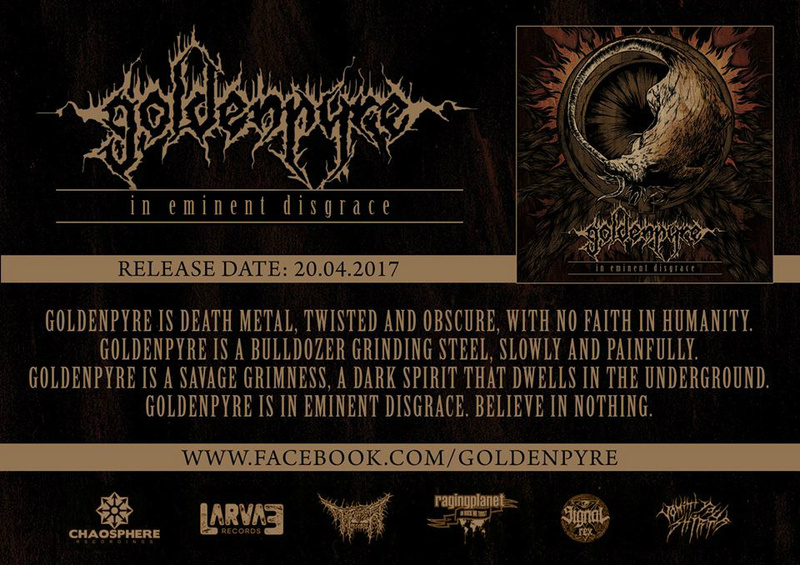 GOLDENPYRE is Death Metal, twisted and obscure, wtith no faith in humanity. 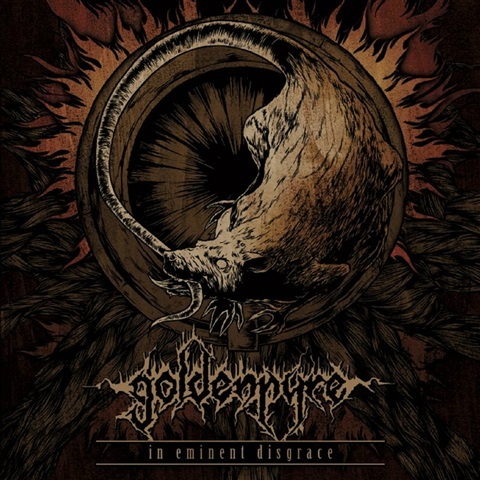 GOLDENPYRE is a bulldozer grinding steel, slowly and painfully. 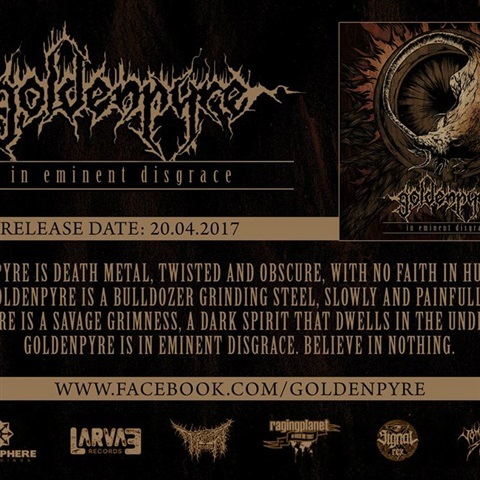 GOLDENPYRE is a savage grimness, a dark spirit that dwells in the Underground. GOLDENPYRE is in eminent disgrace, BELIEVE IN NOTHING.